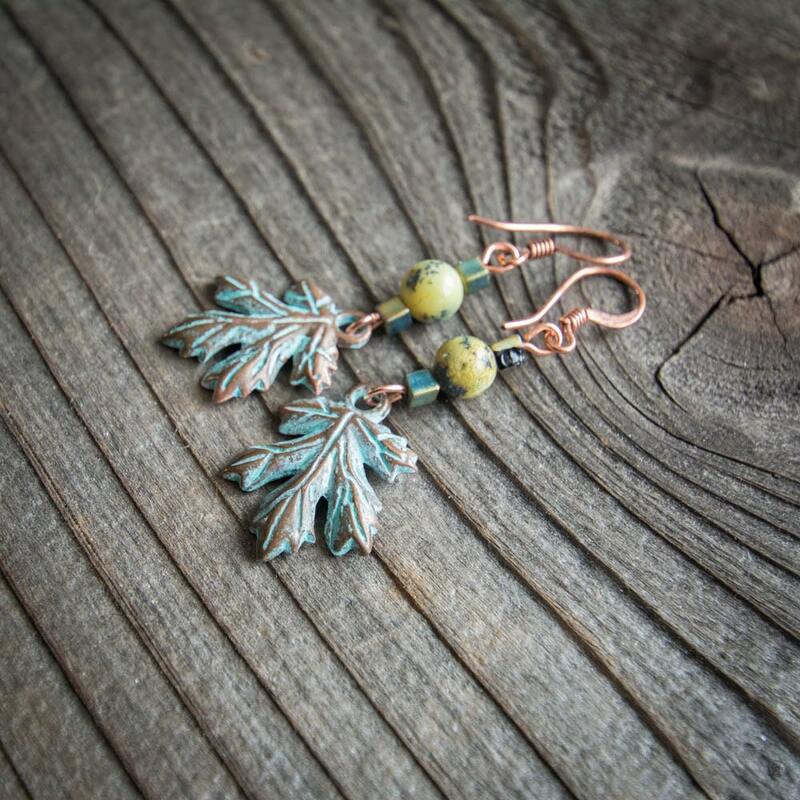 Patina copper leaves with a single yellow turquoise bead and a couple of metallic green cube seed beads make up these earthy earrings. 2 inches in length with copper ear wires. * Yellow Turquoise is a jasper/serpentine stone with hematite webbing, rather than a true turquoise.